The bird is threatened by the clearance of scrub for agriculture and expansion of urban areas. 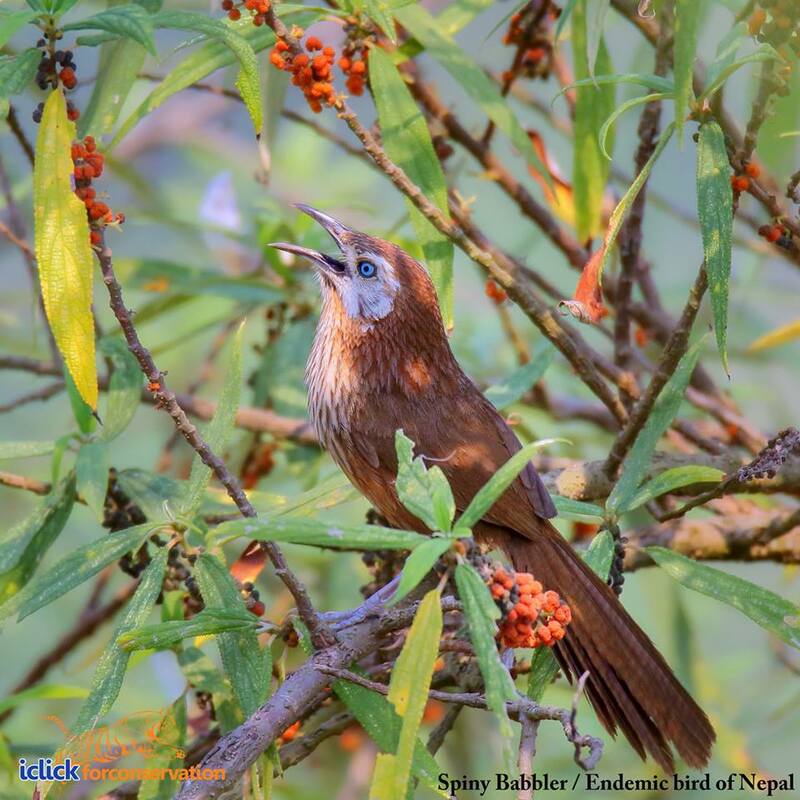 Outside protected areas, it is sometimes threatened by hunting, and the hills surrounding the Kathmandu Valley have seen a decline in Spiny Babbler numbers. However, the same habitat loss that is destroying the Spiny Babbler’s habitat in some areas might actually be creating more in others. As the forest continues to thin due to deforestation throughout the country, the scrub-dominated habitat that they call home is being created in its wake. But only time will tell what is in store for the population of Nepal’s only endemic bird. This article first appeared on the global voices.